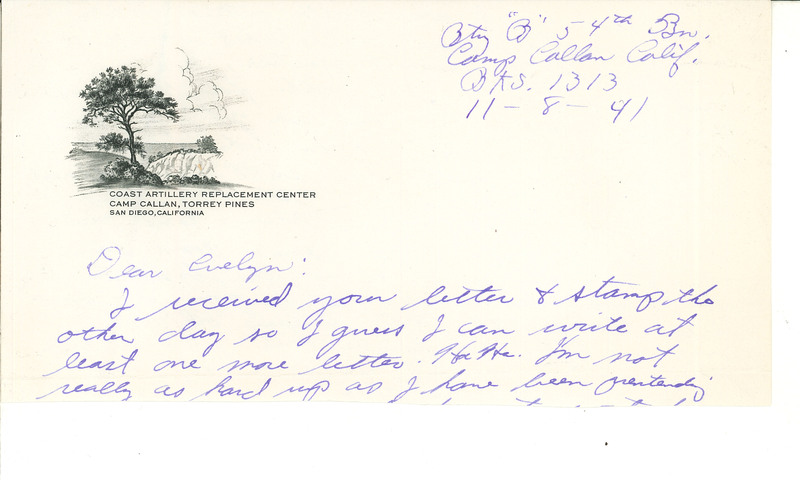 Btry “B” 54th Bn Camp Callan Calif. BKS. 1313 11-8-41 Dear Evelyn: I received your letter & stamp the other day so I guess I can write at least one more letter. Ha Ha. I’m not really as hard up as I have been pretending.